School Board members are elected officials who devote many hours setting policies and planning for your public schools. We serve on the School board because we care about providing quality education in our community. Popular control of public education is one of the cornerstones of a free society. The people exercise that control through their Board of Education. We appreciate your interest and comments and ask your participation to help us meet that goal. The Independence Board of Education encourages school staff and interested citizens of the school district to attend its meetings. Time is provided near the beginning of all Regular monthly board meetings for questions and concerns from the public. The Independence Board of Education has an exemplary record of complete and open communication with its residents and stakeholders. We are proud of the availability and completeness of the information we provide in our minutes and related materials. We understand that residents may wish to obtain information that may not be readily accessible. As a citizen, you have a right to see any public document of the Board of Education that meets the statutory requirements. For your convenience, an online request form can be downloaded here. You may fill this form out and mail it or bring the completed form to the Board Office. Your request will be acknowledged promptly by the district. The full Board Policy on Public Records is found here. If you have any questions regarding your information request contact Board Treasurer Eric Koehler at 216-642-5854. If at any time you have a question about our district, feel free to contact our Superintendent or you may contact any board member at their email address found in the staff directory. The Independence Board of Education encourages school staff and interested citizens of the school district to attend its meetings. Time is provided near the beginning of all Regular monthly board meetings for questions and concerns from the public. The Board of Education Regular meetings are generally held on the third Tuesday of each month at 7:00 PM. The full schedule for the regular meetings is posted on this website. Special meetings are held at other times for school matters that need the Board’s attention. Regular meetings are held at the Independence Middle School. All Board meetings are open to the public and news media representatives are notified of the meetings. Discussions will be held in the open with the exception of executive sessions. All Regular meetings are audio recorded and archived. Copies can be requested from the District Treasurer’s Office. As you will note, there is time on the Regular meeting agenda for citizen comment and questions. If you have questions about the specific procedure, please check with one of the Board members or a district staff member prior to the start of the meeting. Involved and informed parents and citizens are our best guarantee of excellence in our public schools. All visitors are asked to register in the notebook upon arriving at the meeting. During public participation near the beginning of the board meeting, a visitor granted permission to speak will be recognized by the President and may then make a brief statement, ask a question or request to speak on a particular agenda item. All comments and questions must be directed to the President, who will respond immediately, if possible, or solicit an appropriate reply from those staff members present. Questions requiring investigation will be referred to the Superintendent for consideration and later response. Each month, prior to the Regular Board meeting and also as needed, Special Board of Education meetings are held. The Special Board of Education meeting prior the regular board meeting is referred to as a “work session” and is most frequently held at the Independence Middle School at 6111Archwood Road. This meeting is held to provide the Board of Education pertinent knowledge and background on agenda topics while also offering an opportunity for questions, clarification, and discussion by the Board. Other special meetings are held periodically for other timely needs of the work of the Board of Education. The Board receives a full agenda several days prior to the Board meeting. The agenda may deal with curriculum, budget, hiring of personnel, facilities, school transportation or long-range planning. The agenda usually includes written supporting material that helps with decision-making. If it appears that quick action has been taken on an item, it may be because the topic has been studied for several weeks or that questions have been answered in advance of the meeting. The Board values and encourages public comment on educational issues. Anyone having an interest in actions of the Board may participate during the open forum portion of the Regular meeting. All those wishing to address the Board of Education are asked to complete a Public Participation form upon arriving. Prior to the meeting, please identify yourself to the Board President or Superintendent. The purpose of the public participation aspect of the meeting is to provide an opportunity for the public to share their thoughts on any matters of importance to the school district. It is not for the purpose of having questions answered or problems resolved. Personal concerns may best be handled through proper channels. All comments and questions must be directed to the President, who will respond if possible, or solicit an appropriate reply from those staff members present if appropriate. Questions requiring investigation will be referred to the Superintendent for consideration and later response. We may refer you to, or you may want to contact, the Superintendent for further assistance. We appreciate your interest and are willing to assist you in resolving your concerns. Participants must be recognized by the presiding officer and must preface their comments by an announcement of their name, address and group affiliation, if and when appropriate. Each statement made by a participant shall be limited to five (5) minutes. Ohio law permits the Board to hold executive sessions during their meetings. During these sessions, the Board may discuss personnel matters, purchase of property for public purposes, pending or imminent court action, negotiations with employees, matters to be kept confidential by federal law or state statutes and specialized details of security arrangements. Executive sessions are for discussion only. The Board is not permitted to take any action during executive sessions. The Board has no authority to act outside of an open session at an officially called meeting. No one person or group of persons acts in the name of the Board. The Board has complete and final authority over local school matters subject only to limitation imposed by state law, regulation of the state, and the will of local residents as expressed in district elections. Your continued interest in, and support of, your public schools is critical to the long term success of students and the District and is much appreciated. 1. No Surprises. We will not surprise other board members or administrators in any public meeting by bringing up issues, questions or any other matters without prior notification of a minimum of 72 hours being given. 2. Communication. We will always provide the most up to date, adequate and timely information to all members of the team. When one member of the team asks for information it will be given to all members of the team. Direct dialogue is preferable whenever possible. Information requests should be made to the superintendent or treasurer in private. Never create a public scene requesting information. The no surprises rule will remain in effect. 3. Trust and Respect Each Other. Each board member was elected and each administrator was employed to make decisions in the best interest of students, stakeholders and community. We all understand the reason for the existence of our office. Sometimes we will have different approaches to issues and concerns; however we will trust and respect each member of the team to represent the Independence Local Schools in the most professional manner always keeping in mind the best interest of students. 4. Act as a Team of Seven. 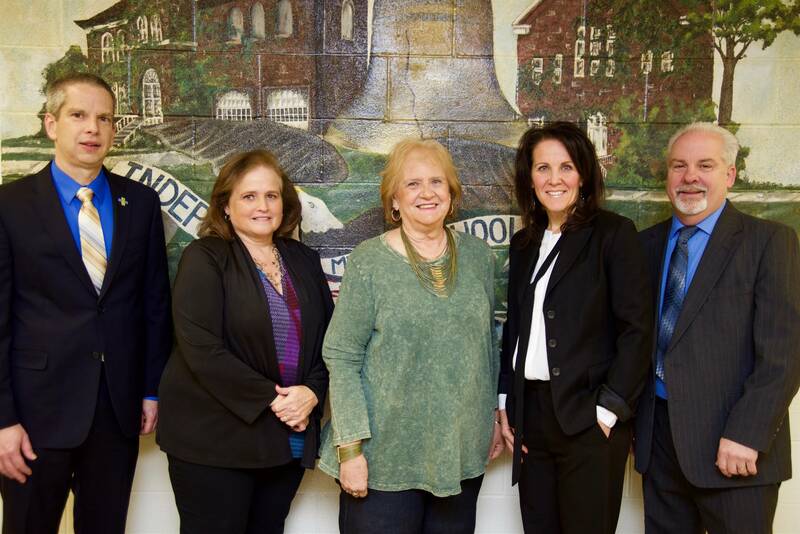 We, the five members of the board, superintendent and treasurer, see ourselves as a team of seven people who are focused on doing what is right for students. We understand that we have no power, authority or influence as individual members of this team. In order to be effective and efficient we cannot act without the input, understanding and support of the other members of the team. 5. Understand the Role of the Board and the Administration. We commit ourselves to understanding the different roles of the board and administration. The board operates mostly with defining "what" the district will look like, "what" the goals of the district will be and "what/who" the leadership will be. The administration operates mostly with defining "how" processes are developed and implemented to effectively and efficiently manage the school district operations. It is clearly understood that occasionally an overlap of these basic roles and responsibilities will occur. In such cases, other rules will apply such as no surprises, communications, trust and respect and acting as a team of seven.